* 1Ghz Apple A4 CPU. * 16, 32, or 64Ghz Flash Memory. 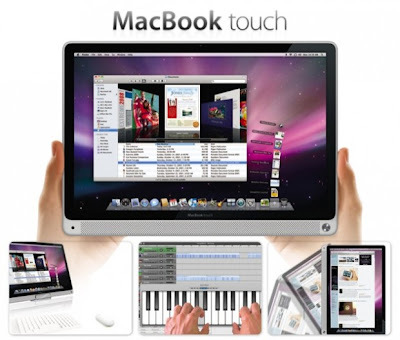 * 9.7-inch Capacitive multi-touch display. * Bluetooth 2.1 + EDR. * A battery lifetime of over 10 hours in use, and over one month in standby. 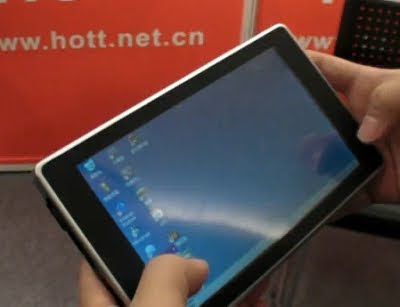 I have made a post about the Kohjinsha DZ dual screen netbook last year. You can read about it here. This week a new dual screen netbook surfaced -- its Kohjinsha DZ re-branded as Onkyo DX dual screen netbook. The difference between the two is the display resolution. Onkyo DX has a much higher 1366 x 768 pixel display resolution compared to 1024 x 600 pixel resolutions for the Kohjinsha DZ. Onkyo DX is not available in the US. If you wanna buy one, you have to buy it from abroad for $1099. That is expensive for a netbook, isn't it? Check this out a cheap 7-inch tablet, HOTT M700, that runs Windows CE 6.0. Chinese electronics maker HOTT says a Google Android version of the product will also be available later this year. HOTT M700 tablet is priced at $120. This price is variable though. Once this becomes available in the market, the price could reach $250. But that is still cheap compared to other tablets. Sridharan Subramanian, Senior Manager of Software and Platforms Product Management at Freescale shows the worlds first ARM based Chrome OS tablet demonstration showcased by Freescale running on a reference design for a $199 fully featured 3G enabled Tablet. 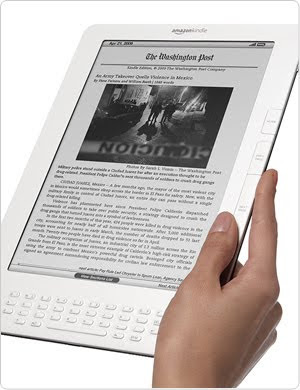 Amazon.com has introduced Kindle DX with Global Wireless – a new version of the 9.7-inch wireless reading device now with the convenience of wireless content delivery in over 100 countries. In addition to the features that have made the 6-inch Kindle the bestselling product across all of Amazon, the new Kindle DX with Global Wireless has a large 9.7-inch electronic paper display, auto-rotate capability and storage for up to 3,500 books. Kindle DX with Global Wireless is available for pre-order starting today for $489 and ships January 19. Dell announced their new netbook - the Alienware M11x. Alienware M11x sports an 11.6" screen, NVIDIA GT335M switchable graphics, a 6.5 hours of battery life on integrated and "over 2 hours" on gaming mode. According to Dell representatives, Alienware M11x will cost close to $1000. Watch out for reviews of the netbook soon. Motorola Backflip will soon be available as AT&T Developer Summit, Motorola CEO Sanjay Jha hinted at the new Android-based Motorola smartphone. The Motorola BACKFLIP will be available in North America, Latin America, Europe and Asia beginning in first quarter of 2010. Backflip has a reverse flip QWERTY keyboard as well as a touchpad behind the display. The Backflip also boasts a 5-megapixel camera with autofocus and an LED flash, video capture, 32 GB of expandable memory, the full Android HTML browser and a 3.5-mm headphone jack. 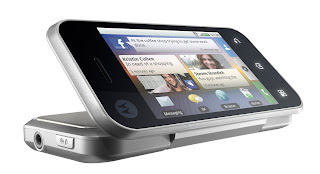 The phone runs on Android 1.5 with Motorola's cloud-based Motoblur user interface. So the rumors are true (read this post)! Apple Table is coming to town baby. 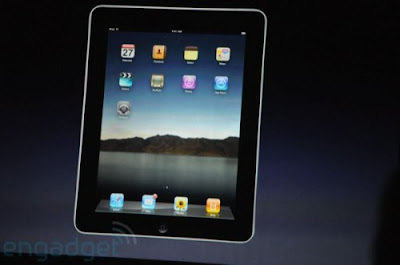 Apple Tablet will ship the device in March for around $1000, or maybe less. Apple Inc. plans to unveil a new multimedia tablet device later this month, but doesn’t plan on shipping the product until March, people briefed by the company said.